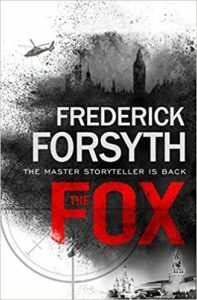 Former RAF pilot and master storyteller Frederick Forsyth is back with a new novel The Fox. Die-hard Forsyth fans will pick up the book and so will some of the recent converts to espionage books. Forsyth fans perhaps will be disappointed by this story as its storytelling is not a patch on the novels that made the writer a legend — Day of the Jackal and The Negotiator. Read it but do not expect it to be the legendary Forsyth story. I love reading these types of books, I need to pick me up one of these, thank you for sharing this post.